I said I would write about yesterday’s lecture if it was interesting. I want to share a little bit about it. First, I didn’t really do Ambassador Ding’s (丁懋時) background justice with my post yesterday (which I can partly attribute to writing it while mobile and not having access to his full bio at the time – what stood out when I read it initially was what I mentioned, that he was Taiwan’s representative to the US). He’s done a lot more than that, including foreign service in Africa for over 10 years, was Taiwan’s ambassador to South Korea, Taiwan’s Minister of Foreign Affairs, secretary-general of Taiwan’s National Security Council, and so forth. You can read all about it here (link to a translated version of his biography on Wikipedia). His experience in over four decades of foreign affairs work runs the gamut. Which is precisely why he came to talk yesterday. His talk mainly focused on the earlier portion of his career when posted in various places in Africa. He spoke of the various noteworthy things in the numerous countries he worked in or traveled to, referring to Rwanda as the “land of 1000 hills” and mentioned that he saw vast rain forests in The Congo. He also spoke of some of the challenges he faced, primarily linguistic. I did not catch how many languages he speaks, but clearly his English is excellent and he is a native Chinese speaker (most of the lecture was in Chinese, but now and again he switched to English for a few words to describe things hard to express in Chinese). 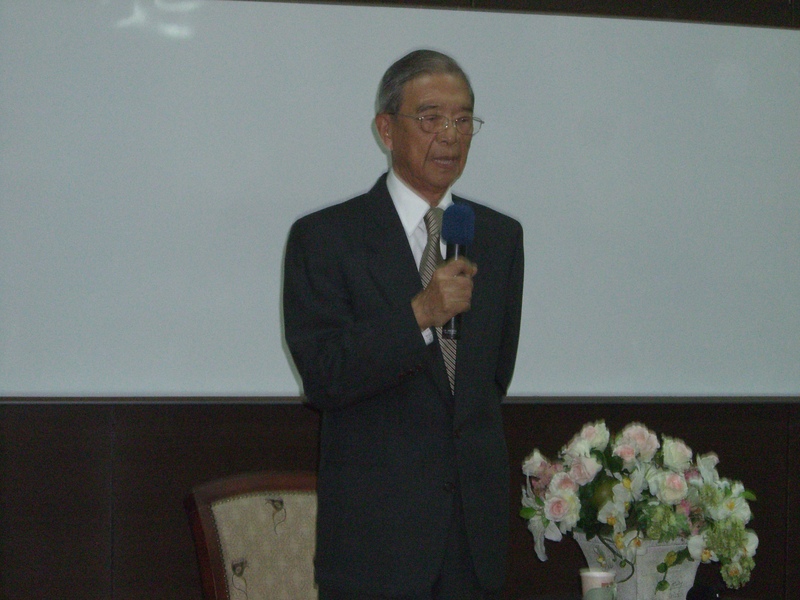 He talked about how he was able to speak with the South Koreans in Chinese and in English. I would not be surprised, due to the amount of time he spent in Africa and working on Africa issues (such as at working in the Africa Division at the Ministry of Foreign Affairs in the early 1970s) if he is also conversant in at least one of the African languages. All this was essentially a “soft sell” for the foreign service. 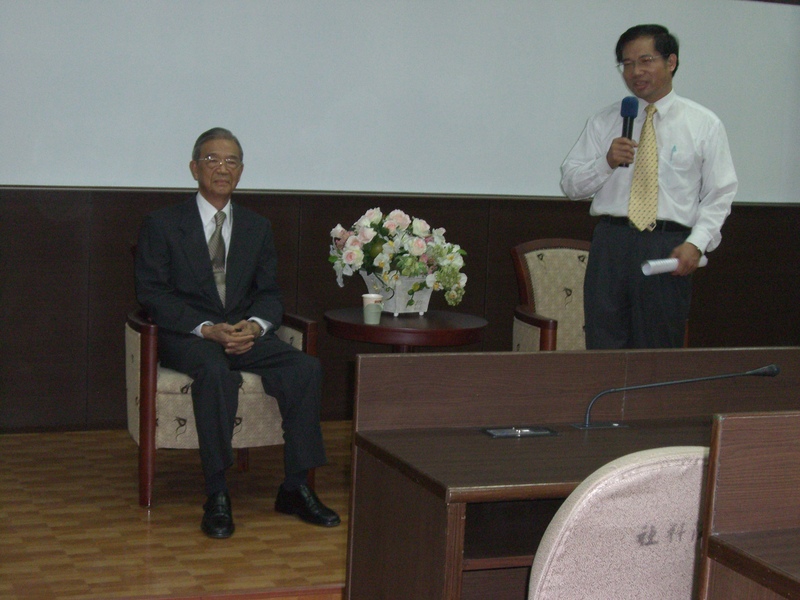 Here was an elder statesman of Taiwan, talking to an audience of who could essentially be his grandchildren, about the good things that come from a career in foreign affairs. He talked about the travel, about learning about other cultures and people, about sorting out language differences and learning foreign languages. This type of experience will open your eyes to the rest of the world. National Sun Yat-sen University has these types of lectures and events from time to time and as I am able to attend and discover relevant material, I will treat it here in the future. Later today I am going to attend a lecture by a former Taiwanese representative to the United States, among other places. (Due to Taiwan’s political status, their “representative” in the US is equivalent to an ambassador.) The topic is foreign service. I’d like to get an idea about what my local classmates think about the possibility of serving their country overseas. I’ve asked a few of them in the past about what their plans are after they graduate. The kinds of responses I have heard include government work, NGOs, or continuing on to study for a PhD. (We are masters degree students right now.). If there is anything interesting to report, I will write more about it later.